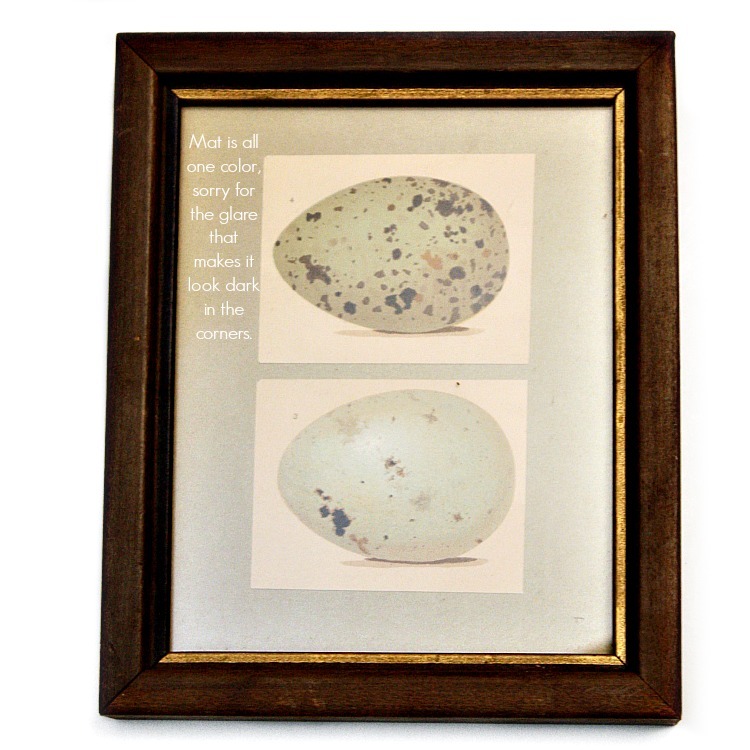 Antique decorative Egg Print featuring two eggs, one is mint green cream with brown speckles, the other is beautiful sage with browns, this is a bookplate. Centered inside an antique wood frame with a gilt liner. Both the print and the frame are in good condition, the frame does show some wear and one corner no longer matches exactly. This print was professionally framed, with a new hanger on the back. Ready to hang with other prints, or perhaps to display on a small wooden stand with your antique bird books. Measures 8-3/4" x7" x 1-1/4".